The typical family business suffers from all the same things that plague most small businesses: lack of employee engagement, lack of clear direction, distraction and changing priorities, questions about the future of leadership. The only difference is that all these problems come home at 5:00. They are the subject of dinner time conversations and Christmas get togethers. The typical family business rarely gets confined to a normal work week or physical location. 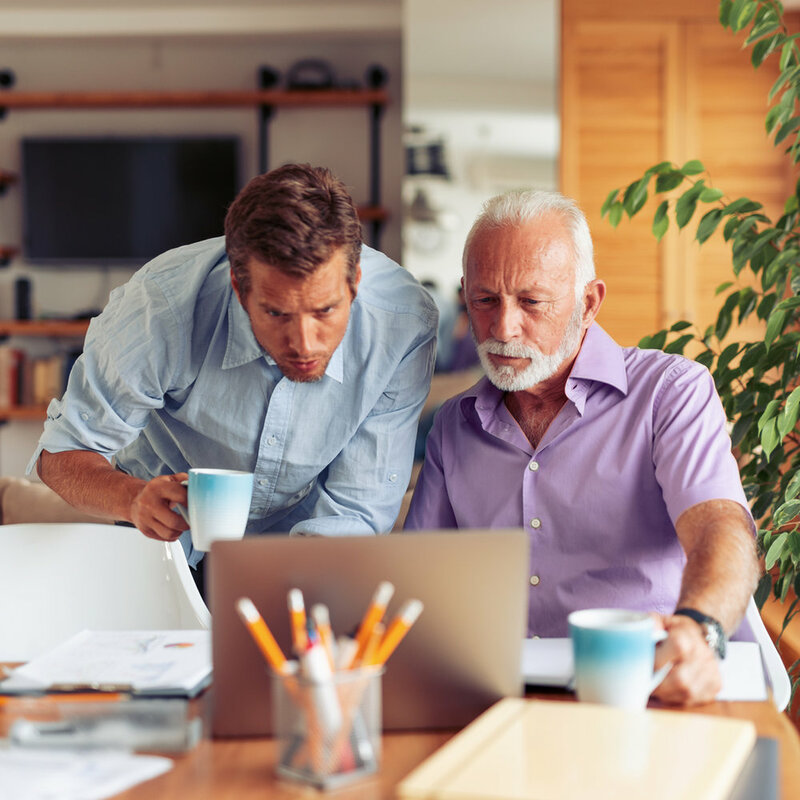 At any given time 70%-80% of our clients have a second or third generations involved in the business. And every client must deal with issues specific to family owned and operated businesses. 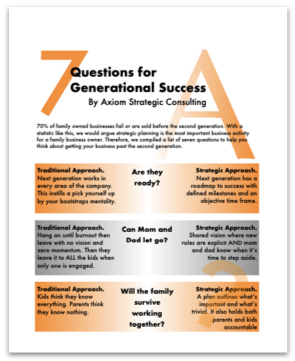 If you run a family business download our 7 Keys to Generational Success. These seven real world questions must be addressed by any family business that wants to survive more than one generation.